Hi y'all! I am almost embarrassed to call this a recipe... I mean, it sort of is, right? Because I tell you the ingredients and what I do. However, it is just so dang simple that you may already do something like this! Or, if you don't when you see it you will be rolling your eyes and going to cook some chicken tenders! Ha! This is one of my favorite lunches to cook at home. It's so easy. 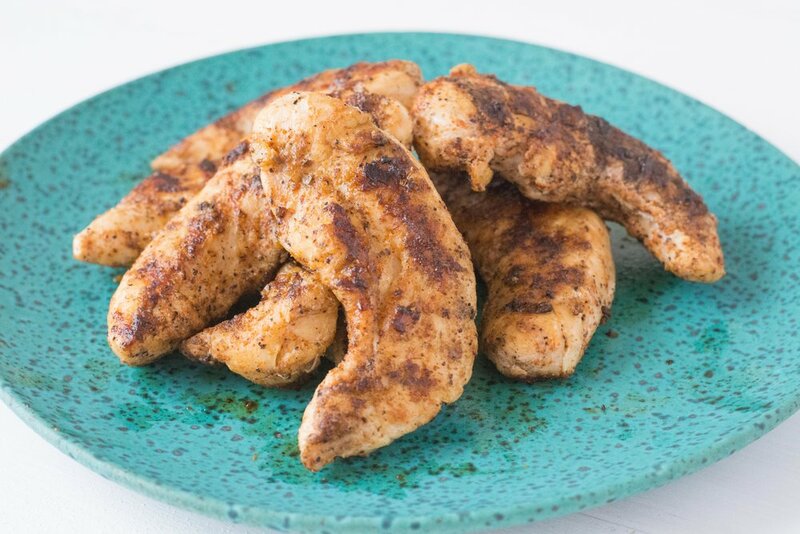 I try to always have some tenders in my fridge so I can cook this in a jiffy! Grill on each side until done!